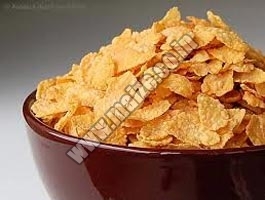 Corn Flakes are widely consumed due to their high nutritional content. We come up with high quality Corn Flakes. Our company is an experienced name, which is counted among the top Exporters and Suppliers of Corn Flakes from Maharashtra, India. They are processed under hygienic conditions at our vendorsâ�� end. Also, our Corn Flakes are delivered on time so as to maintain trust of the buyers.